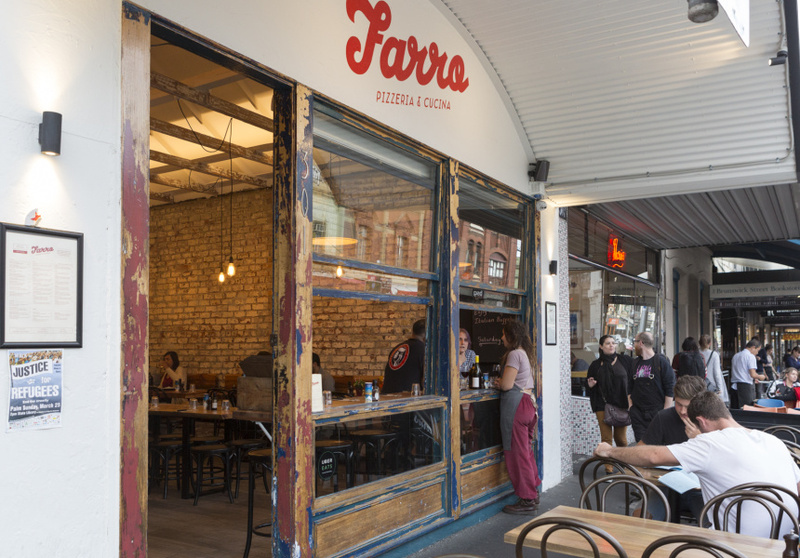 Thornbury’s Pizza Farro has expanded to Fitzroy, bringing its fanaticism for organic spelt-flour bases and vegan cheese. Farro means “spelt” in Italian. The ancient wheat variety has a toastier, more savoury flavour than regular wheat – one the Pizza Farro staff is intensely passionate about. Head chef Daniele Dolciotti hails from Roma (which he says with a heavily rolled “r”). 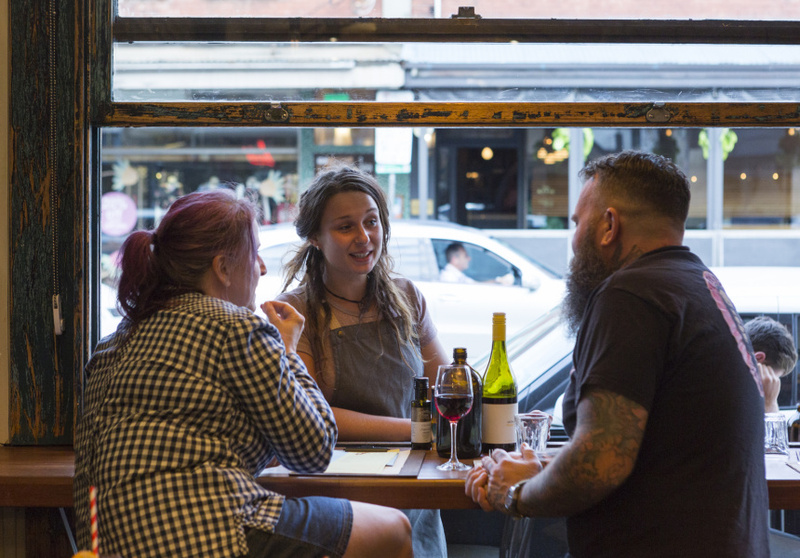 He worked in kitchens there and at his family’s restaurant in Abruzzo before moving to Melbourne six years ago. “I started to use spelt flour in my family restaurant,” he says. “When I came here I saw these guys [at Pizza Farro] using it and I thought they are doing really nice things. They’re looking forward; they’re seeing things that other pizza shops, they don’t see. The house-made bread is also baked with spelt and there’s even an Italian spelt beer on the menu. 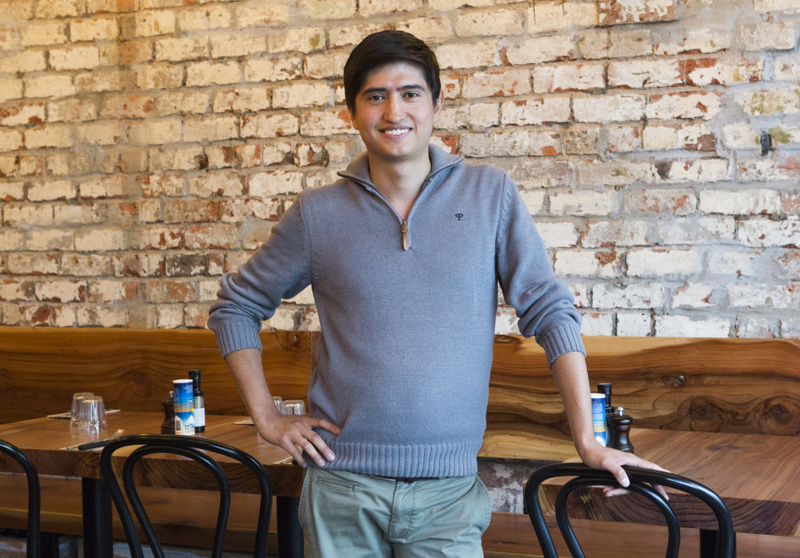 “We want people to understand farro from all different angles,” says manager Diego Paez. The spelt bases can be subbed for a gluten-free base. In fact, every single thing on the menu has a gluten-free option, from the focaccia and arancini, to the Nutella calzone and tiramisu. There’s also a separate vegan menu, which includes pizza. The vegan “cheese” is made in-house from soy and coconut milks, vinegar and nutritional yeast – something akin to the spent yeast that gives vegemite its strong umami character. 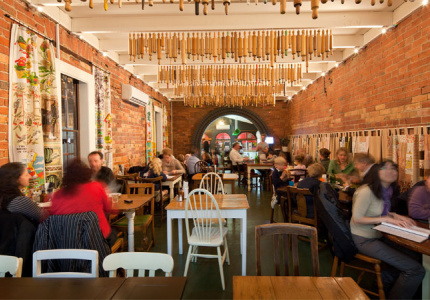 The fit-out is a little more “urban” than Pizza Farro Thornbury, where more than 400 rolling pins hang from the ceiling. “We wanted to bring a lot of raw elements and keep it organic [like] what we do here,” Paez says. Bench seating is made from big slabs of uncut timber, and the building’s original bricks and rafters have been left exposed, giving the white and earthy-brown space height and light. The important traditions are still upheld. The pizza oven in the open kitchen is wood-fired; the staff all converse in Italian; and most patrons have an Aperol Spritz in hand.